On Wednesdays I post my “Top 5” which comes from a GoodReads group that creates topics for bloggers to write about. The topic this week is actually a freebie, since we have 5 Wednesdays in January. The moderator said that we could come up with our own topic or find one from past topics we wanted to do. I found an old topic I thought would be fun: favorites you’d like to revisit. I’ve actually been wanting to reread this series again for a while, but I talked about it in a post recently and that got me feeling super nostalgic for Reed and Noelle. 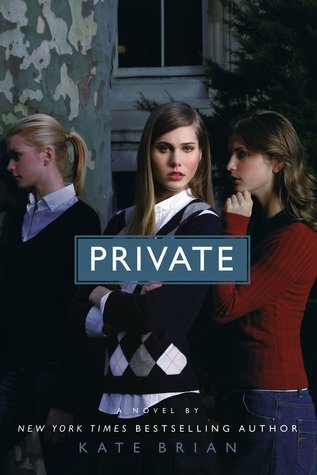 This always takes me back to high school (*shudder*), since I read it for the first time then and it’s also about a high school boarding academy. I think I like it so much because it reminds me of my pre-critical reading phase. I used to devour books like these and completely disregarded all of the things that didn’t work super well. Maybe if I reread it now, I’ll see what I missed then. 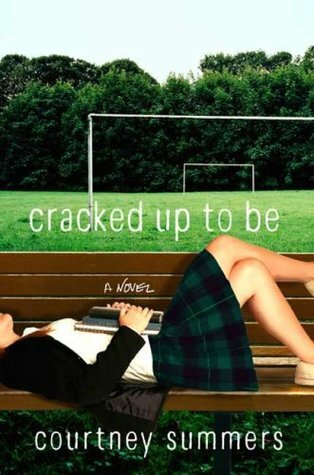 I know several people who consider this to be their least favorite by Dessen, but it’s my favorite by a long shot. I’ve enjoyed all of her books but this one won me over a long time ago and I’ve reread it twice since then but does that stop me from wanting to read it again? Nope. I think that this is just heavier than some of her others and it really pulls at my heart strings. I was a teenager in a super toxic relationship when I came across this book and I related to Caitlin in so many ways. Of course, I was 15 then and am no longer in that toxicity, but I still feel connected to the story. I read this for the first time in 2016 and it quickly became one of my favorite books. I haven’t read it since then, but I’ve been wanting to get my hands on it for another round for at least a year now. I know a lot of people respect Plath’s writing on principle, but I genuinely enjoy her work. I’m actually kind of obsessed with her as an author. If you haven’t read this, 10/10 would recommend. You will not regret it. And if you do… well, I have no idea why you would because this is such a good read and if you hated it then I’d like to hear some reasons for sure. 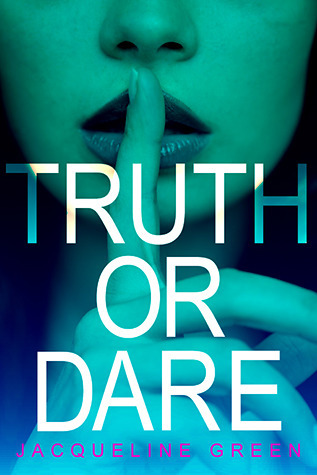 Truth or Dare is kind of a gem for me. It’s not that the writing is out-of-this-world good or that the plot is completely enrapturing. It’s that it’s a fun read and it’s a series. I don’t get the pleasure of coming across YA mystery series often, so when I find ones that I can really enjoy, I latch on to them and never let go. I think I read this is 2016 as well, so I don’t even remember the plot or who the “bad guy” is, so really if I reread this, it would be like picking it up for the first time all over again. I find Courtney Summers to be magnificent YA author. Her stories are often so real and if you have a heart, they will probably mess with your emotions a bit. I’ve read about half of her novels and loved every single one of them. So really I’d like to reread them all, but this is my second favorite (after her most recent publication, Sadie). If you somehow haven’t gotten around to one of Summers’ novels, I definitely recommend giving them a try. So, there’s 5 (technically a lot more than that since I included two series but whatevs) of my favorite reads that I’d like to revisit. Do we have any in common? What are your favorite rereads? 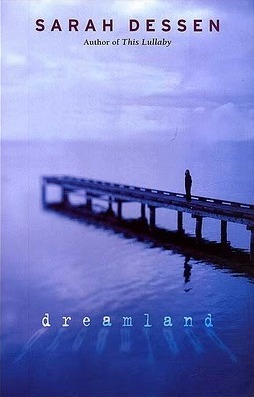 I’ve had Dreamland on my shelf forever, I need to actually read it this year. Oh my gosh I reread all the time, but my favorites to reread are any of the books from The Shadowhunter Chronicles by Cassandra Clare, The Selection by Kiera Cass, and Elementals by Brigid Kemmerer. Dreamland is amazing! At least for me. Some people didn’t care for it but that’s just how reading goes haha. I have still got to check out some Cassandra Clare.. I’m way behind the masses. 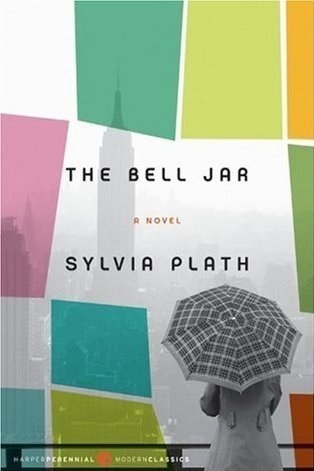 The Bell Jar is in my top 5 all-time faves. I try to use my limited reading time to read truly great writing, and Plath did not disappoint. It is in mine as well! She’s amazing.